We call them unicorns because they are supposed to be mythical creatures-something that doesn’t exist in the real world. That’s how the nickname came about. Yet, over the past couple of years, we’ve started meeting people who fit the description of a UX unicorn. They are very real and they are amongst us. We know because we’ve met and studied several dozen of these multi-skilled designers over the past two years. Guess what we learned? You too can become a UX unicorn. We first heard the unicorn moniker bandied about when job ads started showing up asking for designers who could do interaction design, information architecture, visual design, and even a little coding. The hiring managers seemed to want someone who could do everything. “Who could that possibly be?”, exclaimed the seasoned designers. “Nobody could do all that and be any good,” they’d say. Since nobody could do all of these things, the jobs would be dismissed as a unicorn hunt. The expectation is the company would come to their senses and hire a team of folks to get the collection of skills they need. The company would finally hire someone who they thought could do most of it. Sometimes it worked out, but often it didn’t, just as the seasoned designers predicted. Yet, in those cases when it had worked out, we caught our first glimpse of real UX unicorns. Eventually, more people with the necessary multiple skills started appearing and filling the unicorn posting. Hence more unicorn postings started to appear. More of them were qualifying for the unicorn postings. And more unicorn postings started to appear. It’s very common to see ads looking for individual contributors that can handle a wide gamut of UX skills. As we talked with our self-described unicorns, we found some interesting similarities in their origin stories. Many had formal education in visual design, information architecture, user research, technical writing, or interaction design, however all of them told us they felt they learned most of their UX skills on the job. Schooling provided a good background in theory and a framework for thinking. Yet those designers found their most used skills came from challenging work projects. This isn’t unique to the UX unicorn designers. Almost any seasoned designer we talk to tells us they’ve learned the most of what they use every day during the work experience. If there’s a big difference between those folks who become unicorns and other designers, it’s that the unicorn designers had opportunities to branch out beyond their existing core skills. Those opportunities forced them to learn new skills, expanding their capabilities and, simultaneously, making themselves more valuable in the marketplace. One hypothesis we had about the emergence of the unicorns centered around luck. We thought the reason these designers had branch-out opportunities was that they were lucky enough to work on projects that let them experiment with these skills. Or maybe they’d been lucky enough to have a mentor or manager that encouraged them to expand their capabilities. Turns out we were dead wrong. Many of the UX unicorns we talked to had forced their own opportunities. A few did it through side projects. They’d try to design something in their free time that would push the boundaries of what they knew. More frequently, we met folks who took the radical approach of jumping into projects they didn’t belong in, hoping nobody would notice their lack of skills. They’d jump in enthusiastically, which apparently covered up their lack of natural talent. That enthusiasm, combined with hard work of learning what they could, opened up the doors. Here are the five steps that practically everyone went through to learn each new skill. The path to becoming a unicorn starts with a deep immersion into a new skill. By reading books, watching webinars, and taking online courses, the budding UX unicorn picks up everything they can about the topic. They’ll even attend conferences, sometimes paying their own way if they can’t convince their boss to send them. The goal is to absorb everything they can on the topic and dramatically increase their UX design literacy. The more literate they become, the better they are at spotting the difference between good design and poor design. Practice is the key to learning a new skill. The budding UX unicorn just starts doing it, without caring about if what they are producing is any good or not. After all, the easiest way to get better is to start by doing it poorly. Practice is about exercising the requisite muscles for the new skill. It’s about building up the right habits and creating a discerning eye. The more time a person spends repeating the skill, the better their outcomes are. Close inspection of other people’s work is the next step on the path to becoming a UX unicorn. Look at what they’ve done, take it apart, and figure out how it works. Often this step starts with pure mimicry. Can you build something that’s just like the design you’re studying? To replicate the design, one has to break it into little pieces. Seeing how those pieces fit together explains how each piece works. Over time, it becomes more about plugging those little pieces together in new and novel ways. In this step, the unicorn-to-be is exploring the medium of the skill, learning what works and what doesn’t. The next turn in the path to mastery is to share new creations with people who’ve been doing this for a while. At the heart of the step is to ask for feedback. What could we do better? Accepting feedback is a growth moment. It’s natural to start by being defensive about the work, dismissing the advice and critique. However, when the soon-to-be unicorn can pause and hear the feedback they’re getting, they are close to mastery of the skill. There’s just one more step. You don’t really learn something until you teach it to someone else. The final step towards true unicorn-ness is to find someone else to teach the new skill to. This has the added benefit of bringing someone else along for the ride. In explaining the newly learned skill and its various techniques, the new UX unicorn realizes just how far they’ve come on their journey. There’s no magic dust that will turn someone into a UX unicorn overnight. It’s a ton of hard work and study. However, learning additional skills opens up opportunities. When a designer becomes a UX unicorn, they bring more flexibility to their team. When teams have multiple UX unicorns, they’re capable of building great designs faster. In a few years, we won’t think of the UX unicorn as anything special. Most designers will have a full gamut of UX skills under their belt, and be getting better at them every day. The mythical creature will become commonplace. Maybe we’ll have to stop calling them UX unicorns and just call them by what they really are: UX designers. Published here on April 2, 2014. Building a culture of life-long learning will empower your team to deliver the best products and services possible. Your team will learn new skills and better practices, making your organization more design mature. Create an action plan to boost your team’s design skills and expertise at our Creating a UX Strategy Playbook workshop. These workshops fill up quickly. 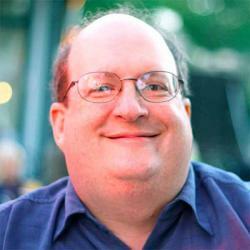 We limit the space so Jared Spool can personally spend time with each team that attends. If you’d like to get Jared’s insight on build your team of self-described unicorns, you’ll want to reserve your spot right away. Published here on March 13, 2019. Becoming a UX Unicorn in 5 Easy Steps by Jared M. Spool Jared Spool shares the strong connection between UX unicorns and they UX skills they acquire and hone.